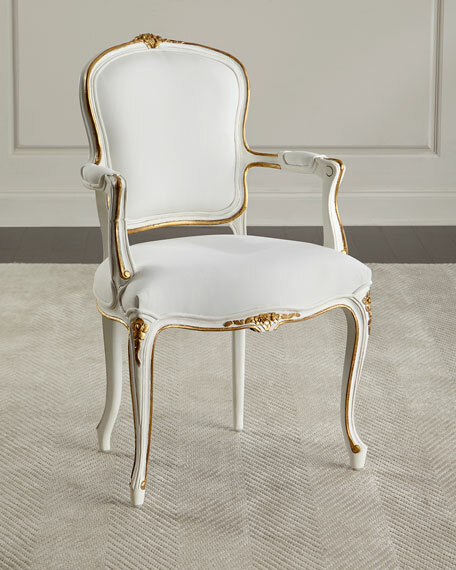 This handcrafted Louis XV style chair features delicate floral carvings, a hand-applied white finish, gilded accents, and white upholstery. 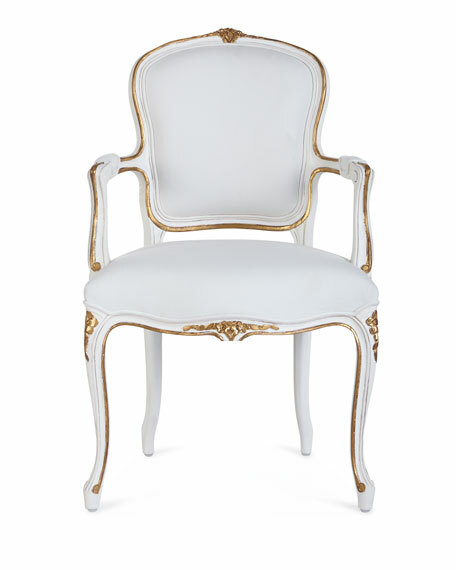 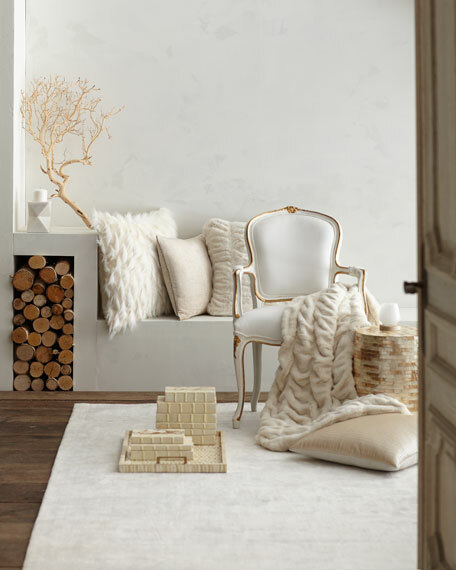 Finish is French Antique White with Gilded accents & light patina. 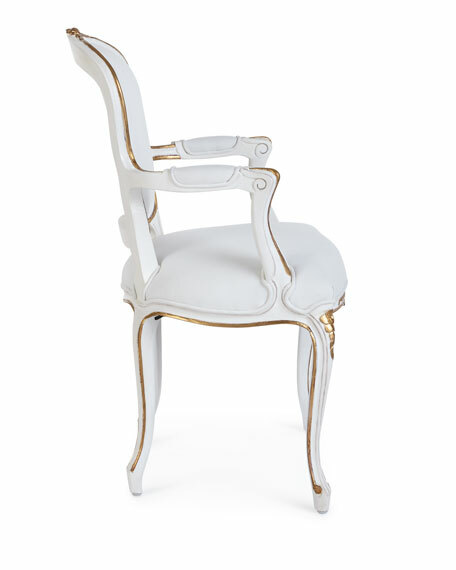 Accent chair crafted of mango wood. 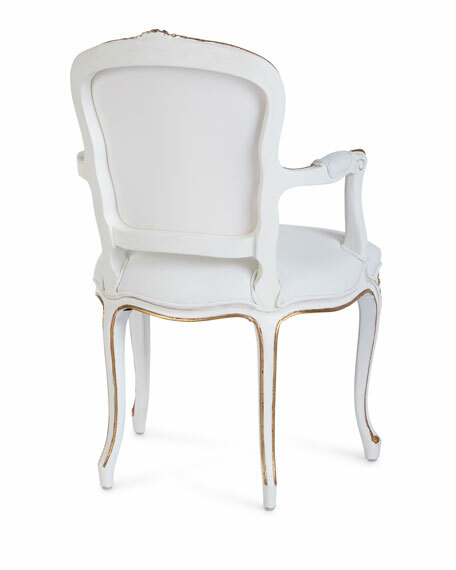 23.3"W x 19"D x 37.5"T.